Garmin has unveiled the Varia UT800, ‘a high-intensity cycling headlight for urban and trail use’. 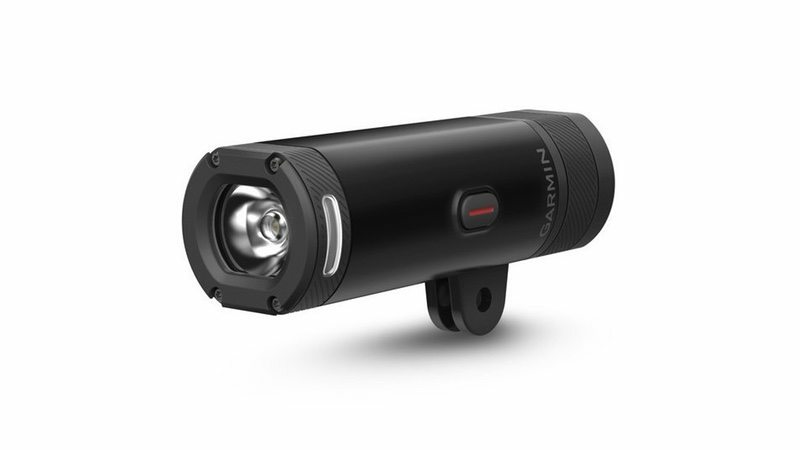 Helping to create a safer cycling environment, Garmin notes that the Varia UT800 not only projects a steady 800 lumens for up to 1.5 hours, it also automatically adjusts its beam intensity to changing light conditions, the cyclist’s speed and ride profile to extend battery life. The Varia UT800 features five light modes – high, medium, low, night flash and day flash. At full power, it is claimed to be visible in daylight from more than one mile away. Its low-profile, lightweight design attaches to a handlebar with an out-front mount or to a helmet with a friction mount. When paired with compatible Edge cycling computers, the Varia UT800 will automatically adjust its beam intensity based on speed and changing light conditions, ‘saving the highest intensity for when it’s needed the most’. With a touch via an Edge cycling computer or dedicated remote, cyclists can also turn their lights on or off, control brightness and more. The Varia UT800 Urban Edition includes a universal out-front mount. The Varia UT800 Trail Edition includes a helmet mount. Both are available for US$149.99.